A couple of Sharpies and some eggs is all you need. You could also write your favourite poem on an egg and leave it for someone to find. Danielle Janess’ poetry and translations have appeared in Faultline, The Malahat Review, Grain, Poetry London (UK), Sand, Event, CV2, Prairie Fire, and in the anthologies In Fine Form (Raincoast) and The World Record: International Voices from Poetry Parnassus (Bloodaxe UK). She is an MFA student fellow in Poetry in the Department of Writing at the University of Victoria. 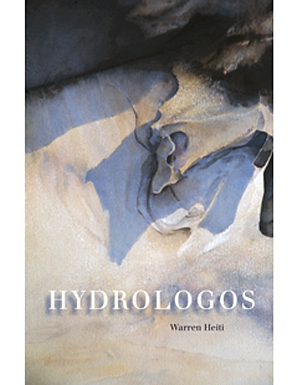 So allusive is Warren Heiti’s first book, Hydrologos, that it knowingly risks the hostility of the incurious, while implicitly petitioning or expecting a certain valour on the part of its reader. But that reader should consent to descend in the sometimes playful, sometimes harrowing company of this Orphic and Hermetic poet, into the sundry delights and depths of allusion as a power. Warren Heiti lives in Halifax, Nova Scotia, where he has taught at Dalhousie University, the University of King’s College, and the Writers’ Federation of Nova Scotia. He is currently teaching in the Department of Philosophy at Saint Mary’s University. He is the author of Hydrologos (Pedlar Press, 2011) and co-editor of Chamber Music: The Poetry of Jan Zwicky (Wilfrid Laurier University Press, 2014). Catherine Graham is the author of Her Red Hair Rises with the Wings of Insects (Wolsak and Wynn, 2013), Winterkill (Insomniac Press, 2010), The Red Element (Insomniac Press, 2008), Pupa (Insomniac Press, 2003) and The Watch (Abbey Press, 1998). Her poetry has appeared in literary journals in North America, the United Kingdom and Ireland and has been frequently anthologized. Graham lives and writes in Toronto, where she teaches creative writing, mentors privately and, along with fellow U of T School of Continuing Studies writing instructors Ibi Kaslik and Ken Murray, helps run The Platform Reading Series. Kayla Czaga grew up in Kitimat and now lives in Vancouver, BC, where she recently earned her MFA in Creative Writing at UBC. She is also an alumnus of the University of Victoria's creative writing program. Czaga's poetry, non-fiction, and fiction have been published in The Walrus, Best Canadian Poetry 2013, Room Magazine, Event, and The Antigonish Review, among others. Kayla has just been nominated for the prestigious Dorothy Livesay Poetry Prize for her first collection, For Your Safety Please Hold On (Nightwood Editions, $18.95). Her book is the only debut title to make the award shortlist. 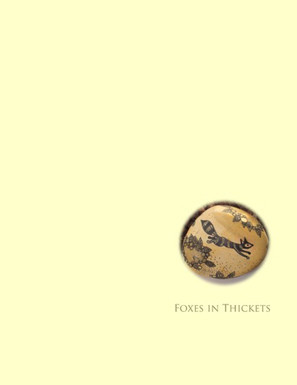 Several of the poems in her shortlisted collection have already received some award attention, including The Fiddlehead's 23rd annual Ralph Gustafson Poetry Prize, The Malahat Review's 2012 Far Horizon's Award for Poetry and an Editor's Choice Award in ARC Poetry Magazine's 2012 Poem of the Year Contest. Henry Rappaport, the cofounder of Intermedia Press in Vancouver, BC, grew up in Monticello, New York. He graduated from Syracuse University where he won the Whiffin Prize for Poetry and went on to receive his M.A. from the University of Washington. Henry is the author of three previous collections of poems. He has lived in Vancouver since 1968, where he writes full time.